First State Robotics wants to support your efforts to inspire Delaware youngsters through an awesome science and engineering program, FIRST LEGO League. In line with FSR’s high school teams, the Miracles of Engineering (MOE), when elementary and middle school teams apply for the FSR rookie FLL team sponsorship program, they agree to use MOE somewhere in their team name… MOEbots? MOEtor makers? First Year Teams are eligible to receive a $100 sponsorship and Second Year Teams are eligible for a $50 sponsorship. First year team applications will be entered into a lottery system, to be drawn September 1, 2016. Applications due August 31, 2016. Awards will be automatic to second year teams- but they MUST apply by August 31, 2016. Teams with full or significant funding through other sponsorship programs will not be eligible. 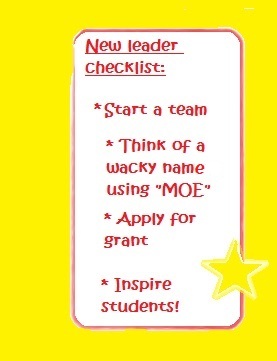 To begin your journey, find out more about starting and registering an FLL team, at firstinspires.org. Then, find out more about Delaware FLL, at FSFLL.org. To learn more and apply for Rookie team sponsorship, click here. This entry was posted in News and events and tagged FLL, FSFLL, FTC, funding, robotics, STEM, youth by fsreditor. Bookmark the permalink.